How Pretty: SYP Baluster Railing | Wood. It's Real. | Wood. It's Real. Wood. It’s Real. was delighted to help Brittany Bailey of Pretty Handy Girl with her big ol’ building project: Saving Etta. 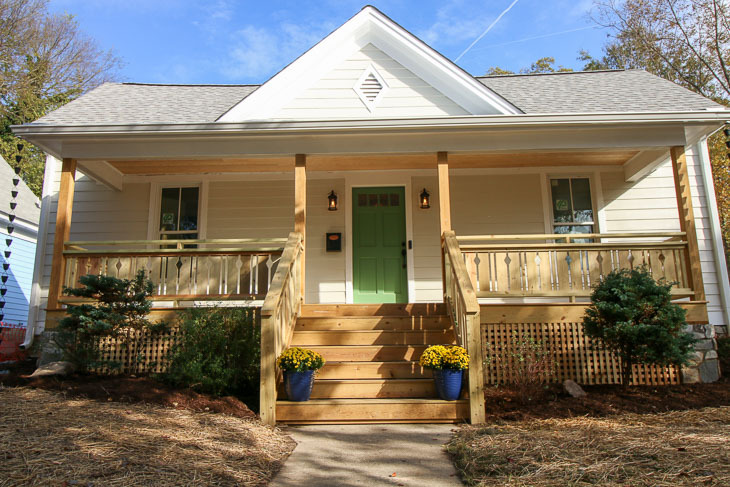 She purchased this charming home, in need of some major rehab, and brought her back to life. We followed her journey from start to finish, always impressed by her integration of Southern Yellow Pine into a lot of the design work. SYP is a work horse when it comes to structural elements you can’t see (think roofing trusses, deck framing). But what Brittany did here was incorporate this humble, strong, abundant material into not only the decks but also the front porch railing. 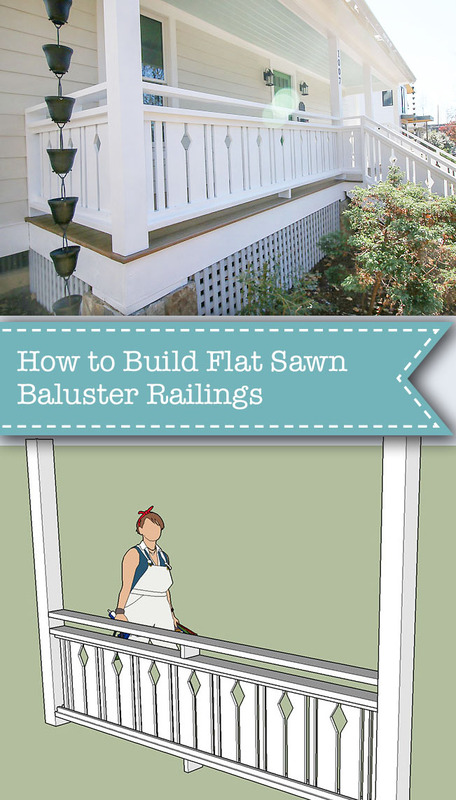 In this post, she explains how she planned, built, and finished the oh-so-pretty railing on Etta. What do you think? Did she hit the mark? Get ready for the tutorial I’ve been anxious to share with you. Ever since completing the Saving Etta front porch project, I find myself taking breaks to glance out the window at these gorgeous flat sawn baluster railings. Now I get to teach you how to make these decorative railings for your home! Read more from Pretty Handy Girl.